THE SAFE-HUB`S MISSION IS TO EMPOWER YOUTH AND CHANGE LIVES BY CREATING SAFE SPACES THAT BRING TOGETHER THE POWER OF FOOTBALL AND LEARNING. The EduFootball Programme is Safe-Hub’s central curriculum. It uses age-specific, structured play and sport activities to develop active youth with positive attitudes and a good quality of life. High-quality after-school programmes combine team-based football training, competitive leagues, tournaments, life skills development, holistic education and academic mentorship. 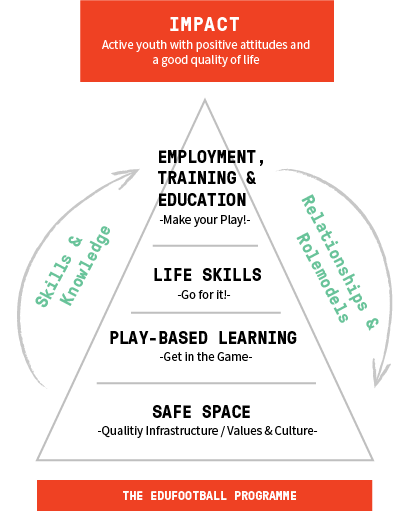 The cornerstone of the EduFootball programme is the physically and emotionally safe space of the Safe-Hub. 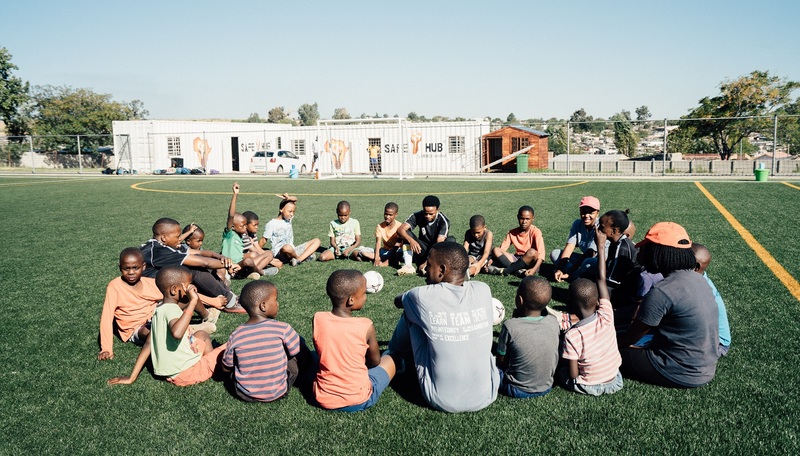 In this space, customised programming enables 5-10 year-olds to learn through play, 11-16 year-olds to develop life-skills through football, and participants age 17+ to build the knowledge and skills they need to be self-sufficient adults. 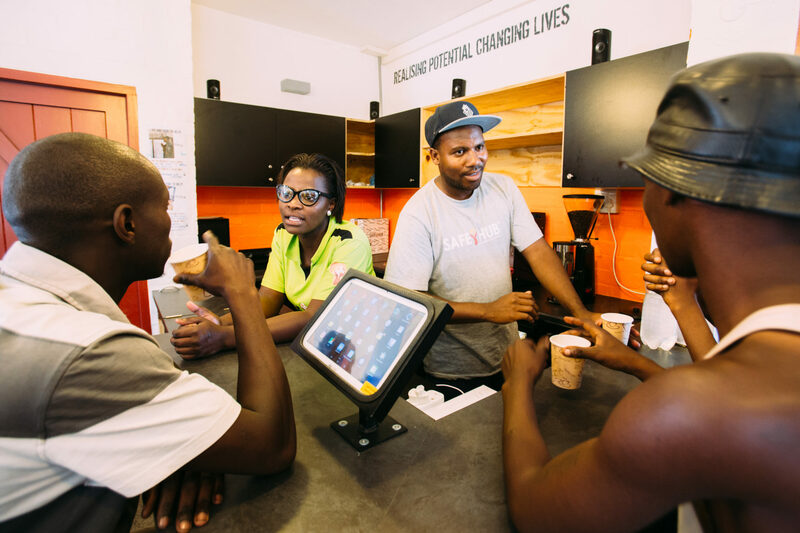 Safe-Hub provides participants – and the surrounding community – a safe and inclusive space where young people can find the support they need, every day, every moment. From age 5 to 10, children learn through play. The Get in the Game! Curriculum enables learning through structured play in a constructive and collaborative environment that promotes an early start to healthy child development. From age 11 to 16, girls and boys develop life-skills. The Go For It! Curriculum is focused on learning through team-based football in a competitive environment. Teamwork and resilience principles promote each participant’s commitment to their team and their self. From age 17 and up, young people make plans for their future. The Make Your Play! Curriculum shares practical skills and helps young people become employable young adults who contribute positively to society.